Home New York Giants New York Giants: Could Top 3 Quarterback Prospect Slip to 17th Overall? The New York Giants brass will have to make the difficult decision to either draft a quarterback with the 6th or 17th overall pick in the first round of the 2019 NFL Draft, or they could elect to pass on one altogether. Ideally, the Giants will walk away from the draft with Eli Manning’s successor, guaranteeing he’s the top option is another story. Reports of Big Blue being interested in Duke’s Daniel Jones at No. 17 have been circulating, but there’s no evidence to prove they will take that route. Could the New York Giants grab a top 3 QB with their second first round pick? 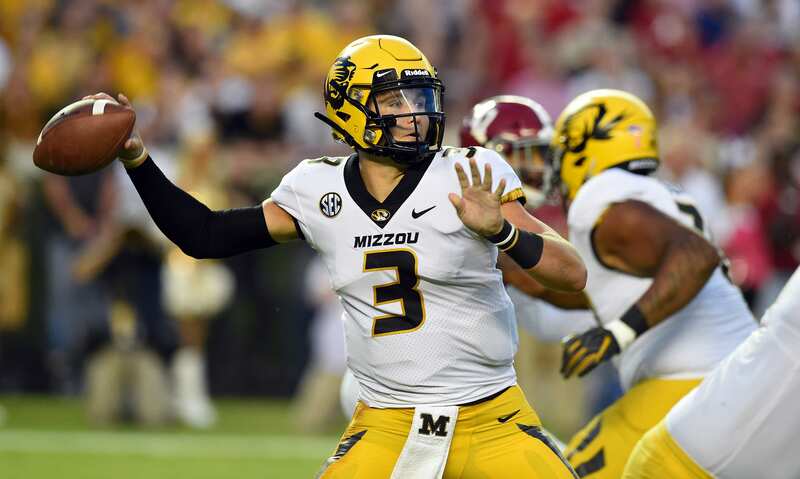 In fact, it’s possible that Missouri’s Drew Lock slips to the middle of the round and gives the Giants an opportunity to grab the third-ranked QB in the draft. Lock has the prototypical frame of an NFL quarterback – 6’4″, 228 pounds. His inconsistency with accuracy has plagued him throughout his college career, completing a career-high 62.9 percent in 2018 (yikes). NFL.com compares Lock to Matthew Stafford, a dynamic quarterback with the ability to make all the throws but can make mental mistakes at times. His arm strength and ability to cover the entire field is impressive, but he struggled against better opponents. For example, against Georgia last season, he racked up just 221 yards, zero scores, and one interception. Against South Carolina, he produced just 204 yards and two interceptions. This is a clear issue for the passer, and the NFL level offers more talent and tricky defenses. His faltering against top opponents doesn’t bode well for a team looking to plug him in right away. The Giants, on the other hand, would sit him behind Manning for a season to learn and develop a sense of NFL-level preparation. One of the more exciting aspects attributed to Lock, however, is his mobility. He earned 437 yards and nine touchdowns on the ground in 2018. His dual-threat ability makes him an even more exciting prospect with a bit of development under his belt. Spending a year learning behind a two-time Super Bowl-winning quarterback might just do the trick.